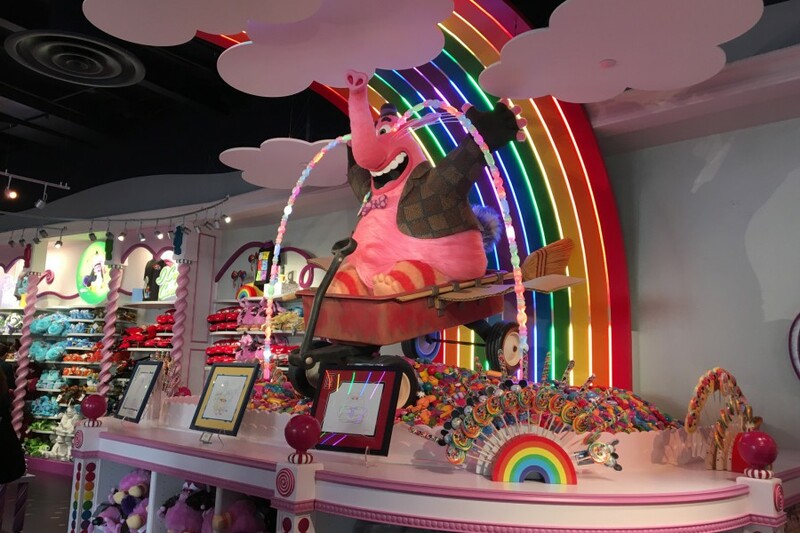 While Bing Bong’s Sweet Stuff opened this summer at Disney California Adventure along with the rest of Pixar Pier, the promised Bing Bong figure in the center of the store was missing. 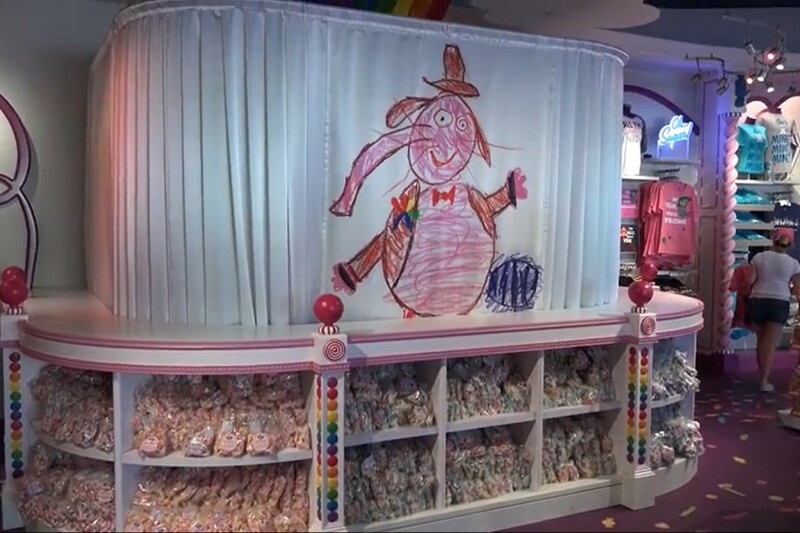 A crayon drawing of the Inside Out character stood in its place. 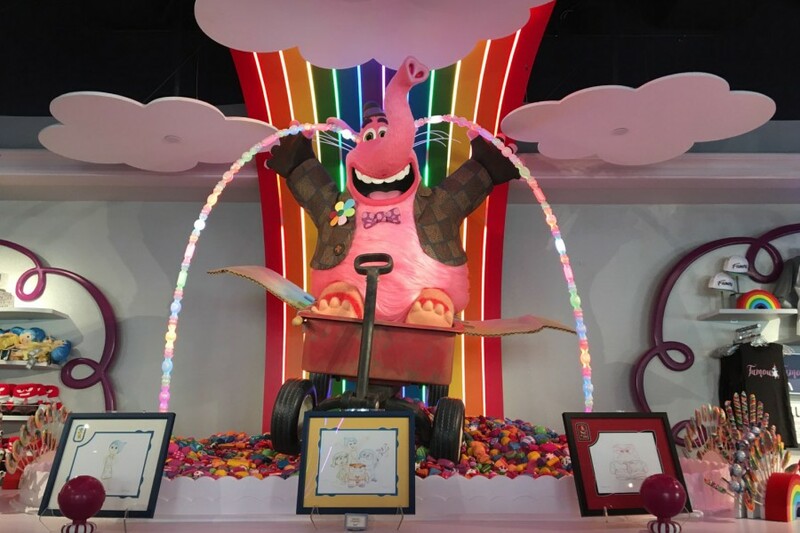 Today, Bing Bong finally made his debut, riding in his red wagon and crying candy tears. 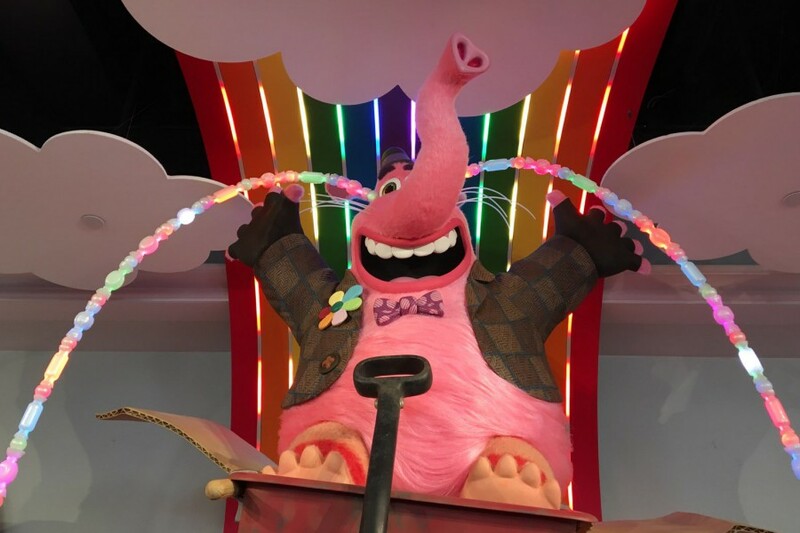 While the figure doesn’t move, Bing Bong does feature an audio track, with lines from the film.